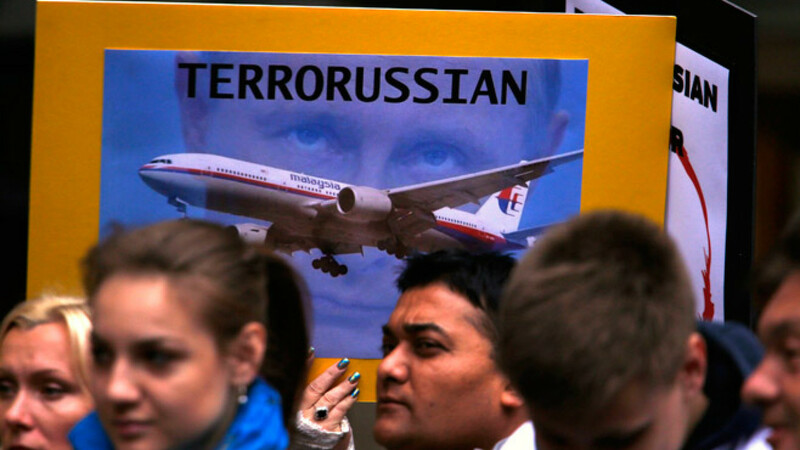 The destruction of Malaysia Airlines Flight MH17 is without doubt the most serious challenge to peace in Europe since the fall of the Soviet Union, perhaps since the 1961 Berlin Wall crisis. The Western powers have been caught off guard by these developments, and are unsure how to respond. This became clear recently during a recent day-long meeting I attended at the Royal Institute of International Affairs in London, which brought together more than 50 analysts and policy makers, predominantly from Britain but including other Europeans and Americans. Although conclusive proof is not yet available, there was no disagreement among the participants about the basic facts of the case. The plane was shot down by separatists using a surface-to-air missile intended to target a Ukrainian military craft. The missile system was likely provided by Russia and its operators had probably trained in Russia. But how should the West react? Should the Western powers give Putin a ladder to climb out of the hole into which he has dug himself? Some of the Chatham House participants argued that it makes no sense to negotiate with Putin: He has proved himself to be contemptuous of the international rules of the game, meaning that no agreement with him can be trusted. Russia, meanwhile, is currently in a position of weakness, isolated by the West, hated by Ukraine, and effectively hostage to a group of thugs in east Ukraine and their backers in the Russian security forces. Better to let Putin stew in his own juice. The Ukrainian government will eventually regain control of the east, and the humiliation of defeat could damage Putin's hold over Russia. But if no deal with Putin is feasible, how should the West respond? Military escalation is unlikely. The European Union is structurally incapable of a military response and with a presidential election in the U.S. two years away, neither Democrats nor Republicans are in the mood for another foreign war. So that leaves us with sanctions. The slaughter of innocents on MH17 has stiffened the backbone of European leaders, and made it more likely that they will sign off on comprehensive sanctions that could swiftly cripple the Russian economy. Russia only accounts for about 1 percent of U.S. trade. Still, some $160 billion of Russian bonds will fall due this year. If Russia choses to default, citing the force majeure of the sanctions, it could cause chaos in global financial markets, impacting the U.S. But even if sanctions were successfully imposed, would they cause a change in Russian behavior? "Fortress Russia" might just hunker down in a nationalist funk, or seek refuge in the arms of China. Optimists argue that MH17 could be a "Srebrenica moment," referencing the 1995 massacre which led to decisive US intervention and a brokered peace in Bosnia. Unfortunately the analogy does not hold. Direct U.S. military action in Ukraine is unlikely, and would be much more risky than in Bosnia. The sad conclusion is that there is no obvious strategy for the West to follow, and hence no end in sight to the Ukrainian crisis. The ball remains in Putin's court.